We had a great weekend by the Seven Sisters with the Craggers. On Saturday morning we discovered 4 Sisters and had a lovely walk even with a bit of rock climbing at the end. Than some of us went to the Friston Forest to spend the night under bashas. Mark and me got lost for an hour but luckily just when I decided to set up an alternate camp , we found each other. 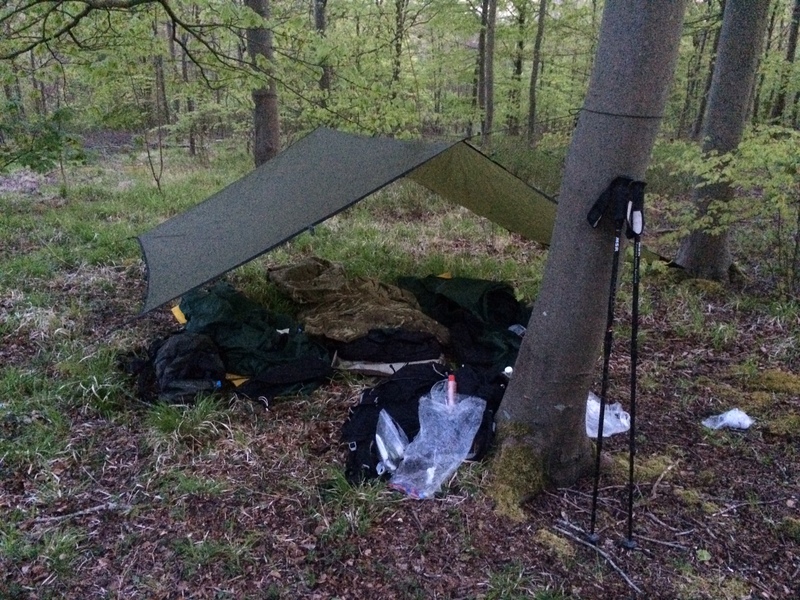 We had enough time to practice the knots and built up a nice cosy place for the night. On Sunday Tony thought us his to carve a spoon from a piece of wood. That was fascinating as well learning a lots about the plants we mainly tasted as well. I loved the thee cornered leeks although I’m not hundred percent of the name of it.